Shipping could be leading the charge for positive change and a more collaborative approach fit for an ever more integrated, digitised, transparent global supply chain, rather than joining the march against modernisation and efficiency. We hope the reformers win the day. 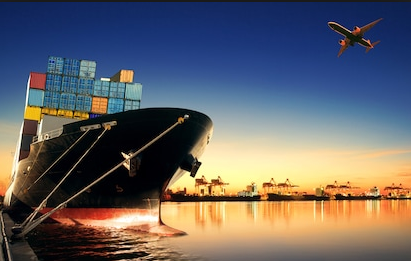 STRIP away the puff, the recycled soundbites and the business-as-usual dressed up as innovation, and there is a core next-generation mentality starting to emerge in shipping. They have clocked an inflection point, not just in maritime, but in the wider demand and regulatory changes that requires structural change from industry. They have started moving beyond the siloed asset play of previous generations and started accounting for an integrated global supply chain, shifting trade routes and decarbonisation of trade as part of their strategic game plan. To anyone attending Posidonia from outside shipping, that is a positive message to leave Athens with. But they also will have witnessed the other side. The genuine anger that an international agreement signed and sealed in 2016 is about to cause chaos because an industry that has almost uniformly taken a ‘wait and see’ attitude to preparing for the deadline, is not ready. The 2020 deadline to reduce sulphur in marine fuel dominated discussions, and understandably so. Right now, it seems clear that no one knows what types of fuel will be available or at what price, specification or in what quantity. An unholy mess awaits and Greek shipowners are angry that they have been unfairly targeted by regulators in the name of drastically reducing emissions from the industry, when in fact it’s not their problem to fix. Shipbuilders and oil companies have been let off the hook, they argue. Governments, oil refiners and charterers of ships responsible for meeting the cost of bunkers all need to understand this is their mess and they need a solution, fast. All of which is true, to a point. But shipowners cannot afford to play the victim here and claim they operate in isolation. A collective procrastination and resolute lack of leadership is at least partially responsible for the mess the industry now finds itself mired in. Pointing the finger and pretending that shipping somehow stands alone as a special case just won’t wash. Wealthy shipowners publicly railing against environmental regulation is not a good look in 2018 and while there are legitimate reasons for their concerns, their leadership on such issues rather than collective recalcitrance would benefit the industry and themselves in the long run. “Don’t shoot shipping. We are really just the taxi drivers. We just buy the ships,” said the Union of Greek Shipowners president Theodore Veniamis at the closing of the showcase week. Perhaps it had escaped his attention that Silicon Valley was in town using Posidonia to stalk the shipping sector for market inefficiencies to digitise and disrupt. So as the next generation prepare for some version of shipping’s Uber moment, it was unfortunate that the old guard wanted to defend their position as the Uber drivers in the equation. Just ask any of Athens’ taxi drivers how they feel about ride sharing apps and think how that analogy plays out for shipping without engagement. Greek shipping has always shrugged off change with a nod to its long history and uncanny ability to weather any storm, but the more progressive voices at Posidonia recognised that you can’t use the past to predict the future. Shipping is changing and in fundamental ways, with shorter cycles and continued volatility. Technology and the move towards a lower carbon economy mean shipping operations will need to be more sustainable and the pace of regulatory demands will only continue to increase from here. Is that shipping’s task alone? Of course not. The late appearance of Silicon Valley, which is only looking at shipping as a newfound, sluggish prey to pick off, does not represent a panacea to all ills. The looming chaos of the 2020 deadline for sulphur caps and wider approach to decarbonisation are flawed and not the sole responsibility of shipowners to fix. But equally shipping cannot continue to play the role of regulatory laggard as the global supply chain integrates around them. As we argued at the beginning of the Posidonia week in our own Business Briefing event — without a more holistic approach that recognises the environmental, social and economic pillars of development, that are all inextricably linked, the shipping industry risks amplifying the disruption that is already happening.